The Perlin team will be officially announcing its partnership with the International Chamber of Commerce (ICC) at a sold out Singapore event today. This is incredibly exciting news, and we at Perlin are incredibly proud to be able to share it with you. 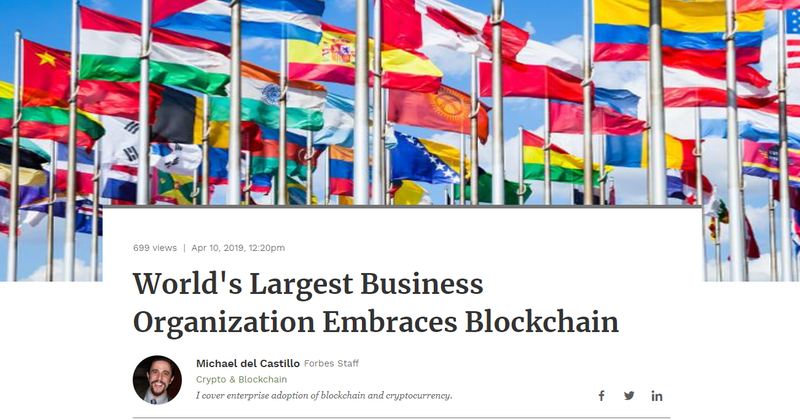 If you have three minutes, head over to veteran tech correspondent Michael de Castillo’s article here: World’s Largest Business Organization Embraces Blockchain. We have much more in the works and will be sharing details of both this new partnership and our other initiatives soon, so follow and stay tuned for updates! Everyone on the Perlin team has been working very hard on the exciting new possibilities that the Wavelet platform offers to business and consumer users, and we look forward to sharing what we have planned for you in 2019.